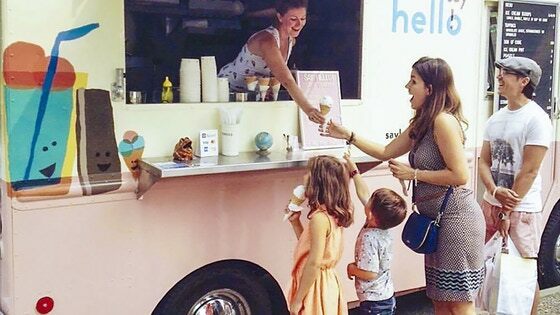 Canada's first plant-based ice cream scoop truck is ready for a shop of its own! Serving ice cream, baked desserts, and coffee. Reminder to fill out the surveys! The last day to make final updates to your order is January 31, 2018. After this date, I will lock your reward selections and charge cards for add-on item purchases, pledge upgrades, and pre-orders. You can update your shipping address up until we lock addresses for shipping. If you haven’t answered your survey yet, if you fill out your BackerKit survey or pay for extra shipping after the order due date, I will still receive your information but your shipment may be delayed. If you need to review your information or pledge status, you can return to your survey by clicking the link in your survey email or requesting your survey link under "Lost your survey?" on our BackerKit project page at https://say-hello-sweets.backerkit.com. Thank you all again for being so responsive to answering the BackerKit survey—even though it may not seem like much as an individual backer, you have no idea how tremendously helpful this has been for me to organize rewards! Thank you for helping me grow Say Hello! Your pledge will allow me to buy some key kitchen equipment to streamline production, print new packaging and expand distribution! A few things need to happen before I can kick off production and fulfillment for your rewards. First, Kickstarter needs to transfer over the funds so I have the money to make the rewards (this can take up to two weeks). Second, I have to find out where you are located to arrange for pick up, delivery or shipping. I will send out a BackerKit survey to collect this information. Please note that I cannot ship any of the ice cream rewards, but I will be making a visit to Victoria to deliver the frozen goods. I will give you a heads-up before sending the survey so that you can watch for it. You don’t need to create a BackerKit account to answer your survey. The invitation email contains a link to your personal survey. It is important to submit your responses as quickly as you can since I need this information to process your rewards. If you prefer, you can contact me directly and give me your information, but answering your survey helps me get your rewards out to you faster. If you used your Facebook info to log into your Kickstarter account, the BackerKit survey link is sent to the email address you use for your Facebook account. If you have another email address that you prefer to use, please contact me. Again, thanks for all your support. I can’t wait to send you your rewards. P.S. I attached a photo of Babycakes as a puppy, because it's just too cute not to share! I am very excited to announce that I just picked up the merchandise samples! I love them. What maybe way to brighten up a rainy Vancouver day? Thanks for all your support. Please keep sharing the campaign! P.S. I may never take this sweater off! I want to celebrate and say thank you to everyone who has pledged so far. Please join me and Babycakes for Ice Cream Social #4. Everyone welcome! Dear Victoria, rewards are open for you too! Shout out to my hometown, Victoria, BC! I want to get you ice cream too and will personally deliver rewards to you in the ice cream truck! I'd love to meet you, plus I am due for a trip home. Grab your pints, ice cream sandwiches, ice cream cakes, t-shirts or whatever you want to try. Please share the news with your Victoria networks.